Our businesses provide employment for impoverished adults and then invest profits into building and managing secondary schools, giving children in need access to quality education. Our goal is to create a sustainable development model that meets both physical needs and opens the door for Christian discipleship for adults and youth. 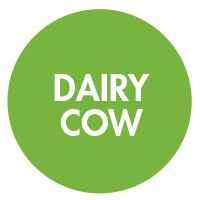 Our newest social business in Kenya is a dairy cow farm located at our Tigoni farms. For every five cows we purchase we can employ a new Kenyan staff member and our vision for 2018 is to expand to 36 cows. Want to help fund the purchase of a cow? Each cow costs approximately $1,200 and will return almost twice its investment back into the ministry within its first year. 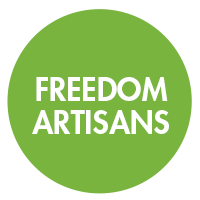 Freedom Artisans, officially started in 2014 as a stateside business for selling handmade Kenyan crafts to support artisans in Kenya and students at Uhuru Academy. Through house parties, trade shows, and church events, Freedom Artisans began to sell jewelry, bags, dolls and stuffed animals, African bowls, baskets and fabric goods. This year we developed our Artisan Advocate program. Each of our Artisan Advocates commits to regularly selling Freedom Artisan products and the ministry in turn gives each Artisan Advocate a percentage of sales. Sign-up to sell products to help support students at Uhuru Academy and generate extra income for your family. Consider selling our Freedom Artisan products to fund your service trip to Kenya. If you would like to host a Freedom Artisans house party or to learn more about our Artisan Advocate program, please contact info@freedomglobal.org. Click here to learn more. Freedom Global’s first social business, a farm, started as a small greenhouse project with nine employees in a resettlement village in the Rift Valley. Today, we have moved our farm closer to Nairobi and our school in Tigoni, Kenya. 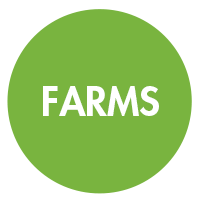 Our farm supports both our dairy project and continues to sell produce to companies in Nairobi and its surrounding areas. This social business is a tool to provide employment to impoverished adults while pushing us one step closer to financially supporting Uhuru Academy.